ShotSquare™ was created from my passion of training and my goal of finding a way to give every player the same opportunity to learn the proper basketball shooting form. No longer do basketball players have to guess if they are using the correct shooting technique. 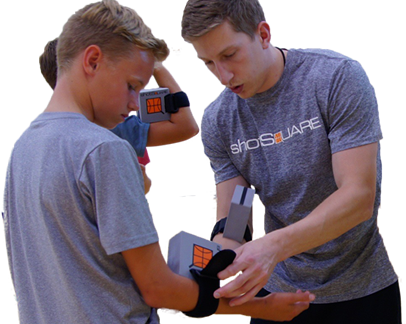 ShotSquare gives every player, of all ages, the ability to learn the correct basketball shooting technique without having to hire a shooting coach. ShotSquare trains you anywhere and anytime, no appointments needed. My passion for basketball started at an early age and grew more intense through my high school and college career. During my career I became fascinated with the intricacies of learning the correct basketball shooting technique. While I struggled with different shooting form theories and explanations, I realized the issues players face when they practice using the incorrect basketball shooting technique. One thing I realized throughout my playing and coaching career is that coaches struggle to demonstrate the proper basketball shooting technique in a way that incorporates all aspects of shooting and in a way that players understand. After realizing the issues players face when practicing using a poor shooting technique and the lack of proper shooting fundamentals being coached, I created a solution in the ShotSquare. The ShotSquare provides the opportunity for all players to learn the correct basketball shooting technique on their own. No longer do players with expensive personal trainers who critique every shot have the advantage. The ShotSquare guides the player to use the correct shooting technique and provides instant feedback with every shot. Eliminating the confusion and the guessing that goes through the players mind with each shot, the ShotSquare does what it was created to do, make shooting simple and accurate.